Gauges may be used to check the casting in its at-cast state and again after machining. The gauge may be an attribute gauge, which is basically a “good” or “not-good” check and results in either a good part or bad part that needs to be altered. More than one gauge may be needed to check a casting: one to check it in its as-cast condition and another to check the casting in a fully machined condition. There may be a need for plug and thread gauges as well as finished gauges or standards for painted surfaces. 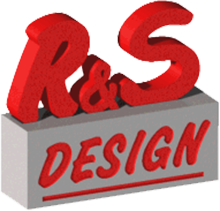 R&S Design works with customers and manufacturers to create gauges and test parts to ensure the highest quality finished product and make sure the customer is always satisfied. What gauges will be used in casting production and in secondary machining, and what they will check, are important elements of the die casting program. The gauging should be considered by the customer as part of the tooling package. Gauging requirements should be resolved early by the quality assurance managers of both the customer and the die caster, so no questions remain on meeting the part print requirements. For more information, or to find out how we can help you with any gauge projects, please contact us.